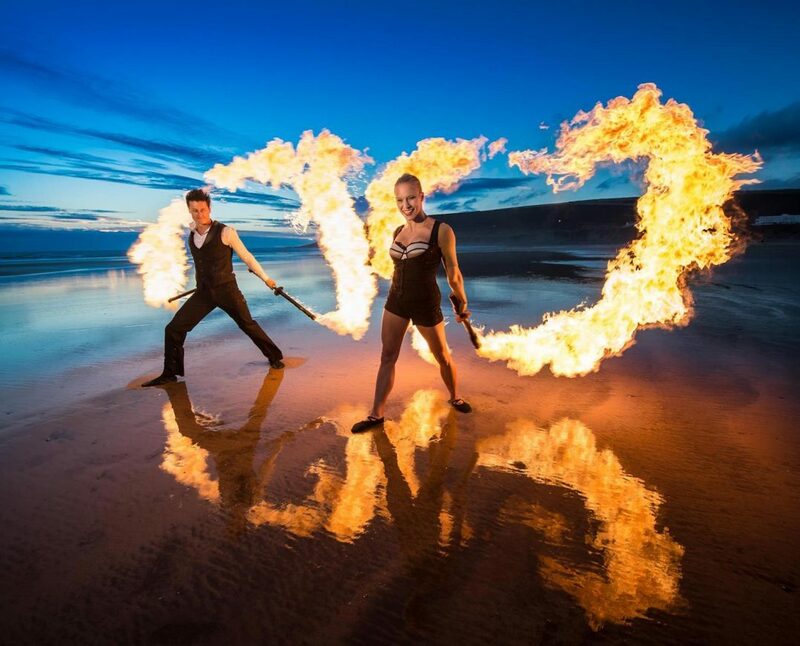 Former Cirque du Soleil artist Dan and lead choreographer and fire dancer Stephanie, perform world class, high impact five to six minute fire shows, designed to impress any audience that sees them. 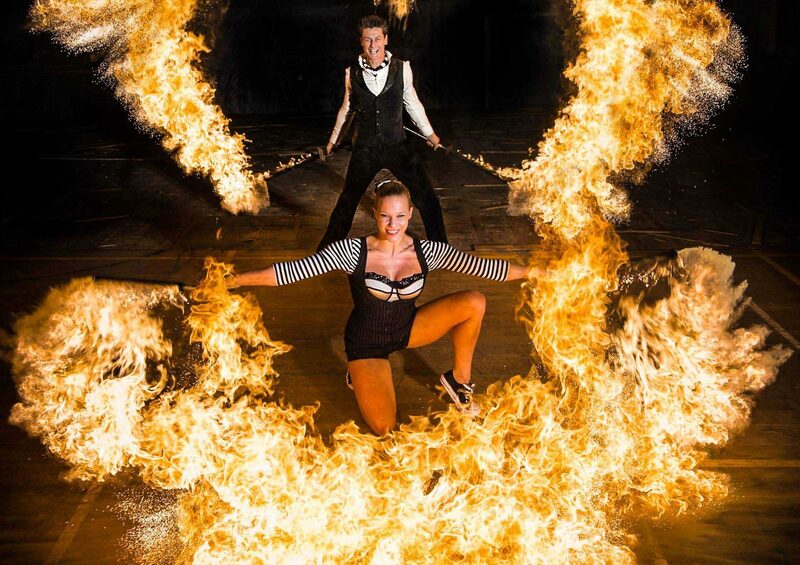 The performance, available for indoor or outdoor events, combines daring skills, breathtaking choreography and unique special effects to provide the ultimate entertainment for your guests. Spark Fire Dance have performed at a number of prestigious venues, such as Kensington Palace, Burj Al Arab and Shanghai Arts Centre. Previous clients have included, BMW, Nokia, Sir Phillip Green and the Sydney Olympics.